Communist Party of India (Marxist) or CPI-M's students' wing, Student Federation of India (SFI) candidates swept the elections by winning 10 out of 11 posts in the elections which was held in two stages. 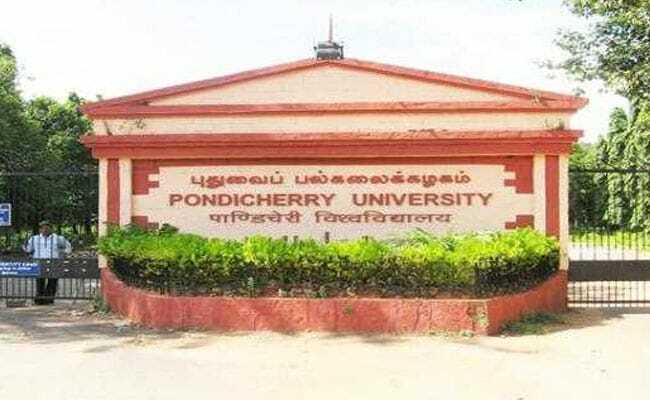 Pondicherry University has elected new student executives for the academic year 2018-19 today. . Communist Party of India (Marxist) or CPI-M's students' wing, Student Federation of India (SFI) candidates swept the elections bagging 10 out of 11 office-bearers and executive committee member posts in the polls which was held in two phases. Junaid Nazar of SFI has been elected as the President while Shonima Nelliat (female) and Sugadev V (male) are elected as Vice Presidents. Across all the panels, SFI lost only the Joint Secretary seat. According to reports, SFI won the Central Panel elections after ASA or Ambedkar Students Association led alliance announced their unconditional support for SFI candidates for 'defeating the communal forces'. SFI, Congress's NSUI, DMK students wing, ASA, SIO, MSF and RSS's ABVP contested the elections this year. The university follows a parliamentary mode of election where elected representatives of different schools of the university and its campuses will elect the office bearers. In the first phase, all the Department of Arts and Sciences of Pondicherry University, Pondicherry University Community College, Lawspet Campus, departments at Karaikal Campus, Mahe Campus and Andaman and Nicobar Islands Campus students participated. In the second phase, the election of the President, Vice-Presidents, Secretary and other major posts was held today at the Pondicherry University campus, said a statement from the varsity. Prof K.V. Devi Prasad, Chairman - Election Committee, Dr P. Thangadurai, Election Officer, Observers of Election Prof K. Devan and Prof J. Krishnan, Polling Officers Prof Rajeswari Seshadri, Dr S. Jayakumar, Dr A. Praveen and Dr SM. Sundarapandian were involved in the process of the smooth conduct of students council elections at Pondicherry University for the academic year 2018 -2019, said the statement.